What would you feel like with a limited edition watch that no one else will ever wear? How unique do you want your Limited Edition Swiss watch to be? FACT: With over 7 billion people on earth in 2015, when you buy a Limited Edition Swiss watch produced in series of 99 pieces, you have over 1/70'000'000 chances to find someone wearing the same watch. But with a different serial number. So at the end of the day, you will be the only person in the world to wear your watch. It can not get more exclusive than this. Nowaday Luxury Swiss watch brands produce large series of watches and it is hard to feel different and have the guarantee no one esle will have the same watch on its wrist. With wryst not only there are a small quantity available but you can also decide which serial you want to wear. Your year of birth, the day of the month your child was born? Offer your husband a watch with his age engraved on the caseback for his birthday? All this is possible while we still have this very exclusive and unique piece in stock. Some people have asked us for particular serial numbers for their Limited Edition watch. Between the serial number 44 of our Motors MS1 Formula 1 inspired model, which is Lewis Hamilton's car, and many requests for first or last number of a series, the requests can vary and be surprising. A Limited Edition watch also have an advantage when it comes to future value retention compared to non-limited watches. 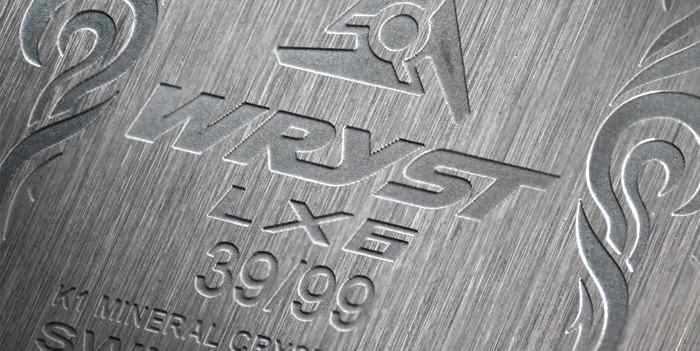 Do you own an exclusive Limited Edition Wryst Timepiece? Want a particular serial number? The chronograph watches have some drawbacks like Its main drawback is its complicated design, which leads to an increase in the size of wristwatches. The watch with the chronograph is much larger and heavier by the weight of its brothers without additional functions and such useful accessories. Also, this leads to an increase in the final cost of the model. That's why you need to think right away whether the chronograph function will be used and whether it is necessary. In fact, the chronograph is rarely used for its intended purpose. The very presence of a chronograph in watches is often considered, which emphasizes the position and status of its owner. Unfortunately, another minus of the chronograph is its expensive repair. The chronograph works almost forever, but the broken mechanism will not just be a replacement for a broken part. Only the master can understand this chaos, but having collected all the details together, the clock with the chronograph will again work like new ones! Anyways, thanks for sharing the nice piece of stuff with us.